Microsoft may have missed the mark on their Parental Street Cred Videos, but we’ll let it slide this time since they’ve just launched some great new services that are sure to make our lives a bit easier. 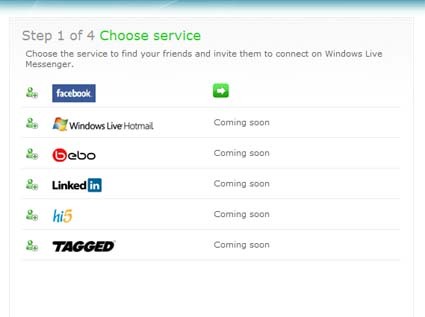 Thanks to On 10, I’ve just learned that Microsoft has partnered with LinkedIn, Facebook, Bebo, Hi5 so users can easily import their Windows Live contacts into these sites. Utilizing Microsoft’s Windows Live Contacts API, you can now go to sites like Bebo or Facebook and see all your friends — kinda like what Adium and Pidgin did for chat, except with social networking sites. Not only that, but Microsoft has just introduced a new website called Invite2messenger where people can invite their friends from these “partner social networks” to join their Windows Live Messenger contact list. OK Microsoft, I take back everything I said about your street cred videos!